Surprises couldn’t be missing in this episode either: an interview with Flux Pavilion, a name that does not need introductions, and a Bishu guest mix. I met Flux Pavilion during his show at the Insomniac Countdown on NYE in Los Angeles. Insomniac, one of the biggest organizations of EDM / Bass events in the US, organizer of EDC and Nocturnal Wonderland too, did not disappoint this time either! The Countdown, with an audience that exceeded 10,000 participants, three stages, more than 30 artists, was State-A unique show and unparalleled. Among my favorites sets were those of Yellow Claw, Alison Wonderland , Dj Snake , Delta Heavy, Megalodon B2B Truth and obviously Flux Pavilion himself. In this Episode, as i anticipated, we also hosted an exclusive guest mix by Bishu, a young producer from Cove, US that recently released for Mad Decent and Unborn, Tom Size’s label. You can read the interview with him below. To finish off the episode, I made a mix with some of the latest releases from the American Bass world, including the preview of the new NGTMRE’s EP! Find the podcast and the tracklist below! 1. You are one of the youngest producers that have released for Mad Decent, how did you start producing and how did the collaboration with this big label start? Hey ! I began producing 4-5 years ago after hearing Deadmau5’s/Skrillex’s stuff. I thought it was super dope how Skrillex was making these insane songs just on his laptop in hotel rooms whilst travelling around the world. Blew my mind and I had to give it producing a try ! The colaboration with MD happened extremely organically… I released a few songs with UNBORN and like a few months later their Mad Decent A&R emailed me asking if I had any unreleased music. Around 6 months later I signed a contract with them. 2. How did the collaboration with Unborn Records, Tom Size’s label, start? When I first started producing and releasing trappy-type-stuff Tomsize was one of the first to take notice and support me. He commented on one of my songs and like a few weeks later he started UNBORN (which blew up super quick!). I liked the look of the label so I emailed a demo and they were down to release it. I distinctly remember that I was super hungover the day they emailed me. Was cool to wake up to. 3. Lol i can imagine that! Can you reveal us your future collaborations? A few colaborations are up in the air at the moment, nothing super solid. So I guess I don’t really have anything to reveal (yet!) haha. 4. That’s ok! Do you always work in a professional recording studio or do you also produce at home or in the hotel rooms with a laptop and headphones? Definitely not working in a professional studio. I use my macbook and studio monitors to produce. At night I typically move to my bed and use headphones- I like checking my songs on both headphones and monitors ! 5. Do you also dj? I have dj’d a few house parties, but nothing major. Definitely going to be djing for real soon. 6. What are the main things you’d say you’ve learned being in the game over the years? 7. What’s the latest trend in Bass music that you’ve noticed taking shape? Latest trend in bass music would absolutely be bass house/hard house stuff- Wiwek… Killing it. 8. What is your advice / your tips for young dj/producers that want to start a career in the Bass music scene? 9. What are your future projects? And.. Are you going to play in Europe? We can’t wait to welcome you! Future projects include some collaborations, more releases (obviously), and getting the dj/live side of things solid. I’d be way down to play in Europe ! Hopefully soon haha. Non potevano mancare le sorprese anche per questa puntata: intervista a Flux Pavilion, nome che non ha bisogno di descrizioni e un guest mix di Bishu, giovanissimo produttore americano uscito ultimamente su Mad Decent e su Unborn, label di Tom Size. 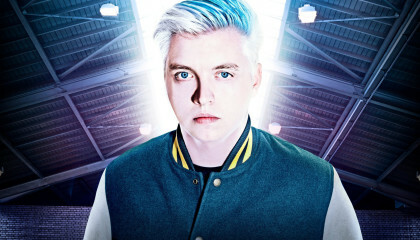 Ho incontrato Flux Pavilion durante il suo show all’Insomniac Countdown lo scorso mese a Los Angeles. L’Insomniac, una delle più grande organizzazioni di eventi EDM/bass in America, organizzatore anche degli EDC e dei Nocturnal Wonderland, non ha deluso nessuno. Il Countdown, con un pubblico che superava i 10,000 partecipanti, 3 stages, più di 30 artisti, è stato uno show unico e senza eguali. Tra i miei set preferiti ci sono stati quelli di Yellow Claw, Alison Wonderland, Dj Snake, Delta Heavy, Megalodon B2B Truth e ovviamente Flux Pavilion stesso. 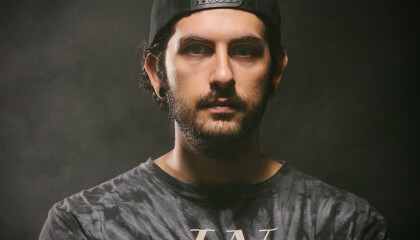 In questa puntata come anticipato, abbiamo anche ospitato un Guest Mix in esclusiva per Bishu e qui la sua intervista. Ho realizzato un mix con alcune delle ultime uscite dal mondo Bass americano, tra cui l’anteprima del nuovo EP di NGTMRE, trovate qui sopra il podcast la tracklist.